PESHAWAR: The Higher Education Department, Khyber Pakhtunkhwa, is set to commence performance audit of eight public sector universities through an international audit firm, according to sources. 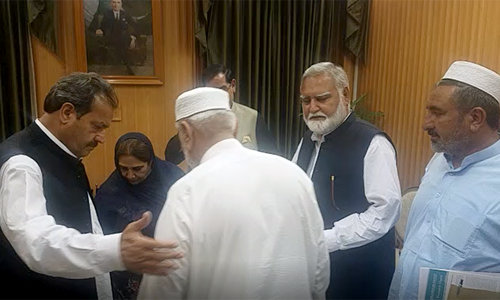 They said that the performance audit would be conducted in those universities which had collectively received around Rs10 billion in the previous few years from the provincial government as grant. The provincial government has released grants from time to time to the universities, mostly to the newly established, including Abdul Wali Khan University Mardan, University of Swabi, Bacha Khan University Charsadda, University of Swat, University of Peshawar, Khushhal Khan Khattak University Karak, Hazara University Mansehra and Haripur University. 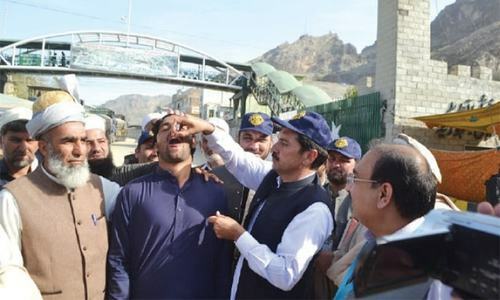 They said that through performance audit the HED wanted to know whether the universities had academically improved or not after the utilisation of provincial government’s fund. The audit firm would also investigate utilisation of the fund. The sources said that the education department had already sent a summary for the release of Rs10 million to be paid to the audit firm being hired by it. They said that the finance department had verbally agreed with HED to financially and technically support it in hiring audit firm for performance evaluation and audit of the provincial grant. They said that there would be no hindrance in the release of fund for the audit. The sources said that Pakistan Tehreek-i-Insaf chairman Imran Khan had recently expressed his concern over poor performance of the public sector universities during a presentation to him. They said that Mr Khan was not happy with the performance of the vice-chancellors. “Imran Khan has asked the HED to accelerate the process of launching the audit in universities,” the sources said, adding that the audit report would be shared with Mr Khan. The sources said that the firm would look into the improvement in human resource development, if any, research publications of the faculties and their efficiencies. It would also consider the number of students graduating per year from these universities, they said. It is for the first time that the provincial government is conducting the performance audit of the universities. “We want to know how the public money has been utilised by the vice-chancellors and its impact on the students,” the sources said. They said that HED had selected Deloitte, one of the international audit firms, for conducting the audit. They said that following advertisement in newspapers about eight audit firms applied of which Deloitte was selected. The sources said that in academic evaluation process the competency of the graduating students would also be judged to see whether the qualified graduates were employable or they had just achieved their degrees. They said that once evaluation of the universities was completed it would help the government to know about the output of the universities on which it had been spending billions of rupees. 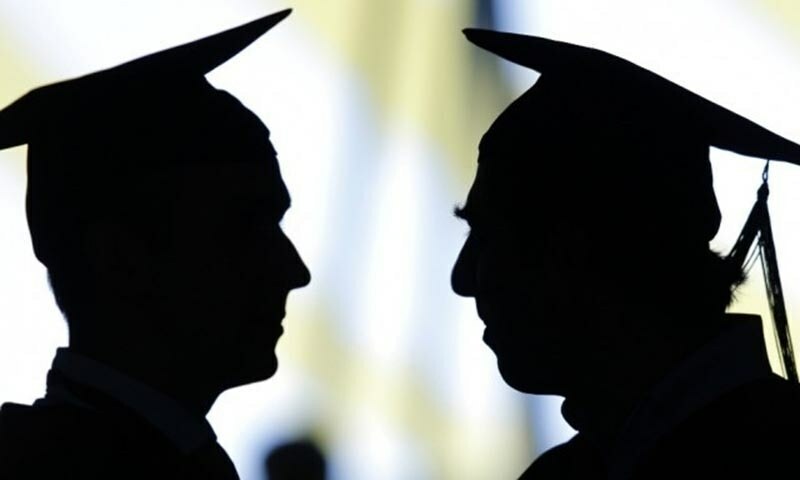 An official said that with the devolution of the education to the provinces in the light of the 18th constitutional amendment, the Khyber Pakhtunkhwa government has increased awarding financial grants to the public sector universities. Good initiative, with far reaching affects. I hope other provinces follow to Khyber. The government first needs an honest audit of its own performance, the results wont be pretty. Aa..this is mind boggling..illiterates auditing literates as they have moved ahead because of hard work and dedication. Most if not all scholars belong to poor or middle class. Unfortunately as these hard working students are moving ahead and securing jobs their hands and legs are being tied by the system, controlled by illiterates riding on looted public money. Does it make sense to waste 1 crore initial payment to an outside firm. An honest audit should not cost that much. In a computer controlled economy it should cost much less. It seems some one is using their influence in a dishonest way..
Pak can attract lot of students patients and Tourist from across boarder if v ve peace. who owns this international audit firm??? @imranrahbar .. Pak need to build good institutions and by them good professionals , It is unfortunate there is no good reputed audit firm in PAk , therefore Govt choose the World largest firm.It would be great if NWFP govt should build good economic schools and these schools cab give services to world ... Nwfp Govt have long road to go , they should do in rush now, we re late in world .............................................................................................................................. commonly referred to as Deloitte, is one of the "Big Four" professional services firms along with PwC, EY, and KPMG. Its global headquarters are located in the United States. @usman786 You mean from Afghanistan? Did they already finished with the performance audit of Ministries and ministers? What a joke.